Due to a family breakdown in his home a young male was facing homelessness. To prevent this young boy becoming homeless his best friend’s mother agreed to become his guardian so that he has someone to look after him. The story of a young boy facing homelessness following a family breakdown really warmed our hearts as the mother of his best friend stepped in and agreed to become his guardian. Despite her huge generosity, this mother was struggling with finances herself but couldn’t see her son’s best friend without a roof over his head. Due to their low family income they couldn’t afford to buy the young boy a bed and therefore he was sleeping on the sofa. 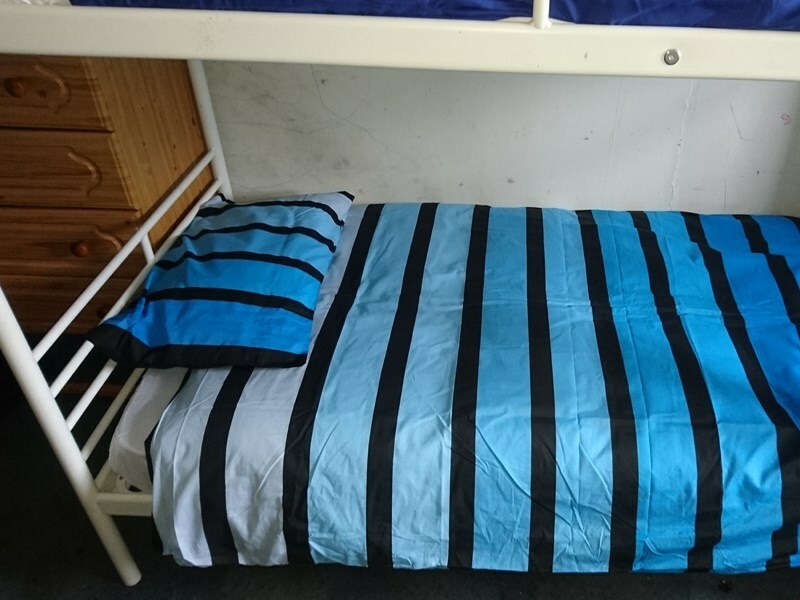 With the support of our donors we had the privilege of providing this family with a set of bunkbeds and bedding so that both the young boy and carer’s son had a comfortable space to sleep in and adapt to their new family life. As well as this we really felt the mum deserved a treat. We provided Mum with a luxurious memory foam pillow so that we knew that the whole family were sleeping well!